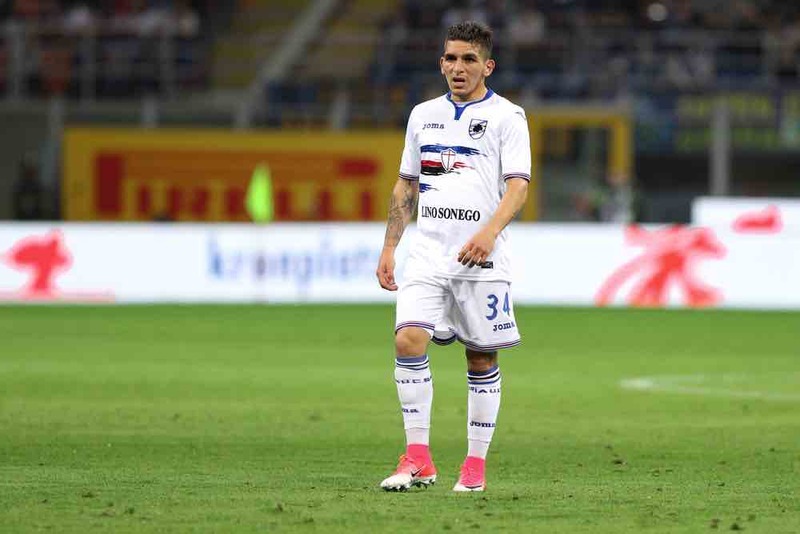 Sampdoria midfielder Lucas Torreira, who is expected to join Arsenal this summer, is named in Uruguay’s starting lineup for this evening’s World Cup second round game against Portugal. The 22-year-old came on as a substitute in Uruguay’s first two group games, but keeps his place in the lineup after starting in the victory over hosts Russia last time out. Torreira is tipped to complete a £26.5m move to the Emirates Stadium soon after his involvement in the tournament is over, so Arsenal fans will be torn between willing their potential new signing on or backing Portugal in the hope that a Uruguayan exit helps them to complete the deal soon. Uruguay’s only change to the Russia game seems fit-again Jose Gimenez replace Sebastien Coates at centre-back. Leicester City pair Ricardo Pereira and Adrien Silva both start for Portugal, with Manchester City’s Bernardo Silva and West Ham United’s Joao Mario also in the XI.